Square Enix have released a trailer to announce the coming of a new Deus Ex game, but this time it is not for your console, but your phone. Yup, that's right! They're releasing a new Deus Ex game for tablets and mobile devices this summer. 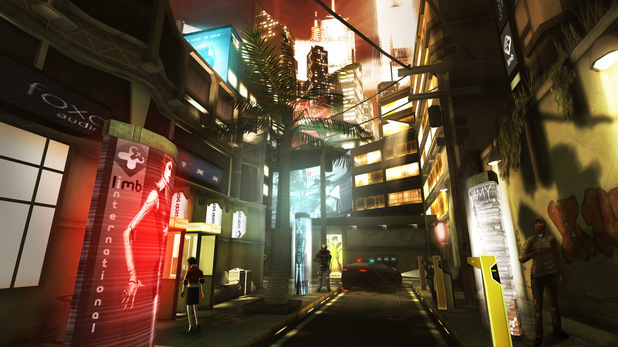 Priced at £4.99 ($6.99/€7), the first instalment of the brand new Deus Ex series is set to release during this summer. The Square Enix mobile team have collaborated with Eidos-Montréal and N-Fusion. The game follows on from Deus Ex novel The Icarus Effect by James Swallow. The game will follow former British SAS Merc, Ben Saxon. He was betrayed by his former employees which sends him on the path to get the truth about a corporate drug conspiracy. The action-RPG features brand new touch controls, as well as series trademarked classics, such as stealth, action, exploration hacking and player choice. The game is set for a summer 2013 release. Check out the trailer below and, as always, leave your thoughts and opinions in the comments below! Those of you reading this on Appy Gamer may need to open the link to see the screenshot gallery below the trailer.